The Palm Ultrasound Bladder Scanner from Sasyachook is the answer to the needs of many health professionals. It is a compact fully functioning portable bladder scanner. The technology is of a very high standard. By listening very carefully to the demands of our customers, we have created a device incorporating these needs. 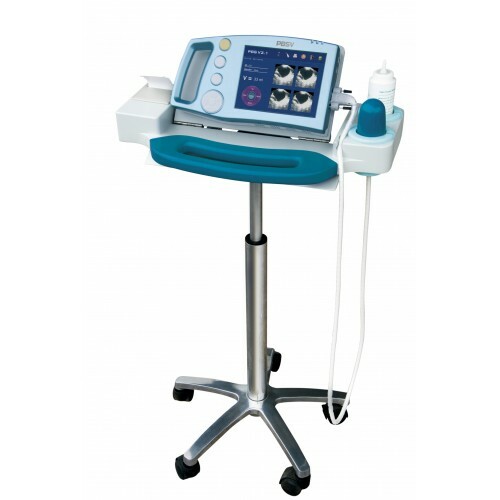 The shape and performance are state-of-the-art and the whole instrument is very easy to use. 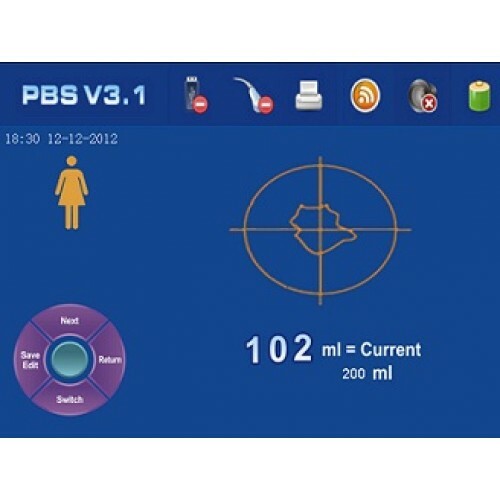 It has a real-time pre-scan function for bladder location to enhance the accuracy of the measurement by having the bladder images be visible and centred in the longitudinal and horizontal axis before scanning the bladder. A clear and simple screen guides the user through the scanning procedure. Arrows on the screen show you in which direction to move in order to get a correct measurement. The ultrasound scanner is compact, easy to use, has a long battery life, simple arrow direction functions and a smart calibration function. This last feature is new and means that with every start up of the device, a previous calibration shows so that the measured results can be validated. The unit is delivered complete with 2 batteries and charger. 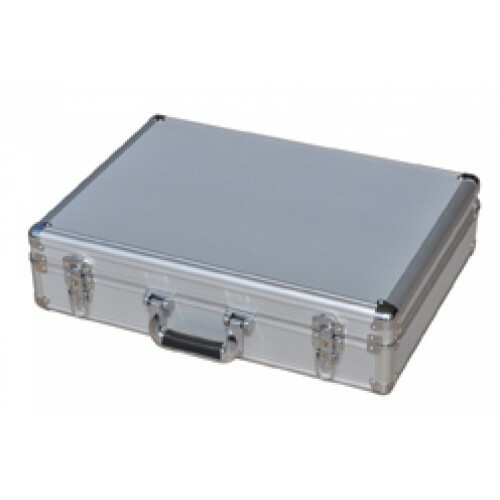 Included with an Aluminium carry case. 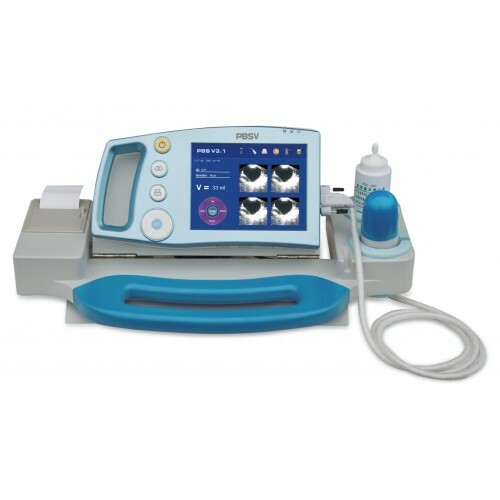 Return the portable ultrasound scanner to its docking cradle to print the residual bladder volume results or use it simply from its cradle. 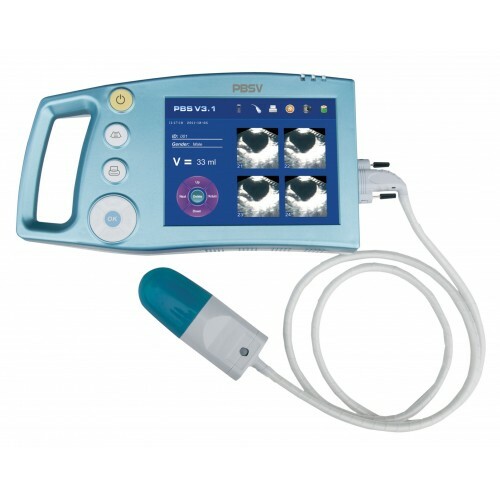 The Palm Ultrasound Bladder Scanner is a hand held device and is the perfect answer for easy portable movement between different locations or by car for continence nurses delivering a home care service.